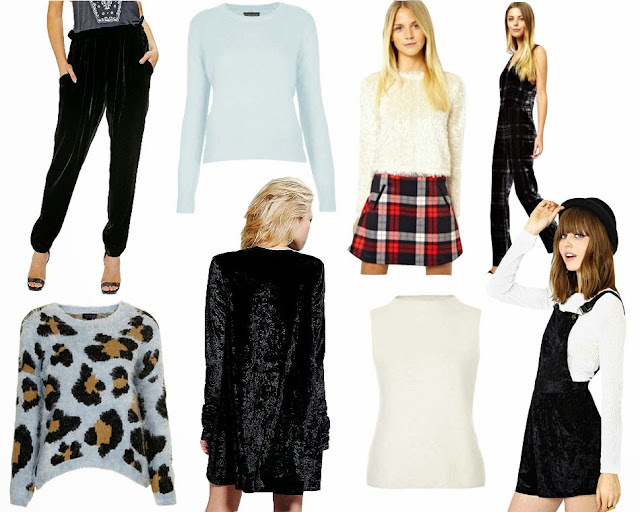 This week I am all about anything fuzzy, fluffy, or velvet. In fact, the softer the better. Fall's the time for bundling up and keeping warm, so what better to wear than fluffy sweaters or velvet pants? Ugh, I just love a good trend with benefits. In this case, you get to look amazing while feeling super comfy. I picked out some of my favorite velvet pieces and fluffy sweaters, which you can see above and shop below. And you might even be seeing one of those items on the blog tomorrow, wink wink. In the meantime, shop away.